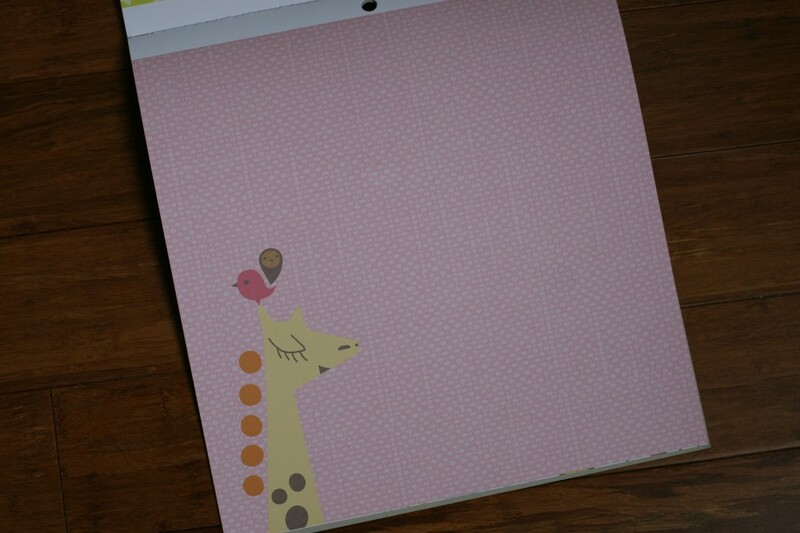 I started with this patterned paper from my baby stash. 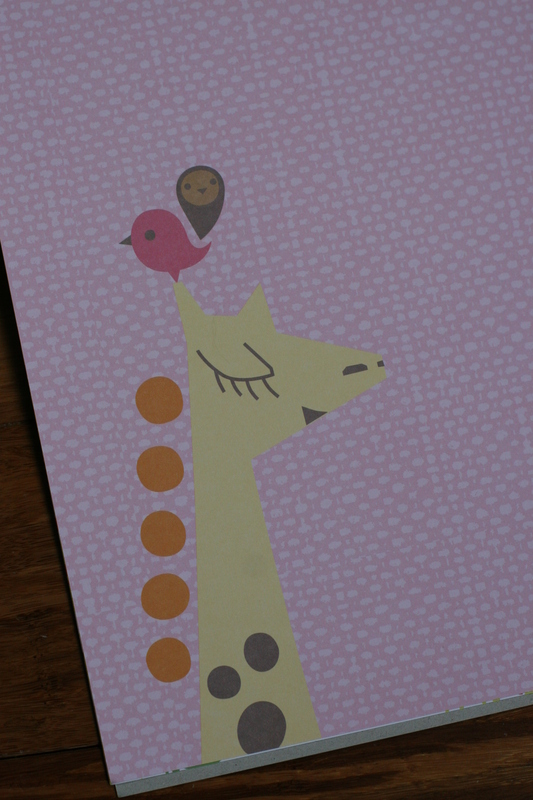 I wanted my card to revolve around this adorable giraffe. 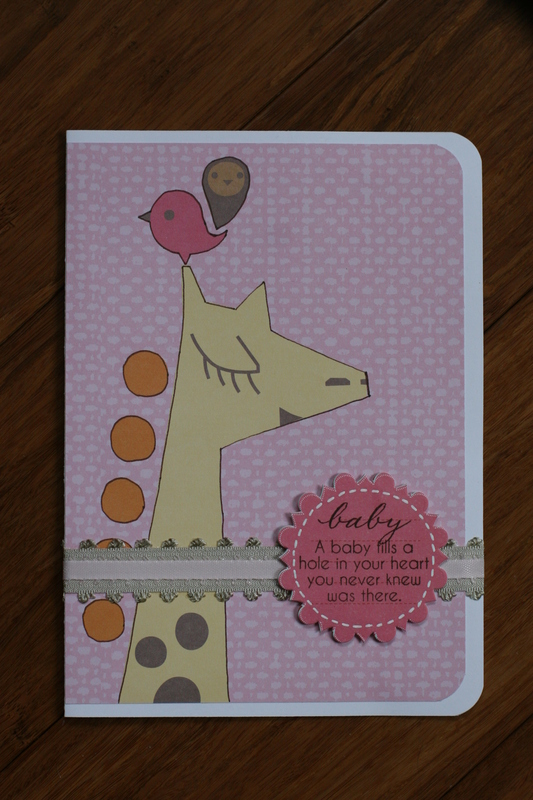 So I trimmed it down to 4 3/4 by 6 3/4 inches, rounded the corners on the right side and glued it onto a white card.. Then I outlined the giraffe with a brown pen to make it pop off the background more. 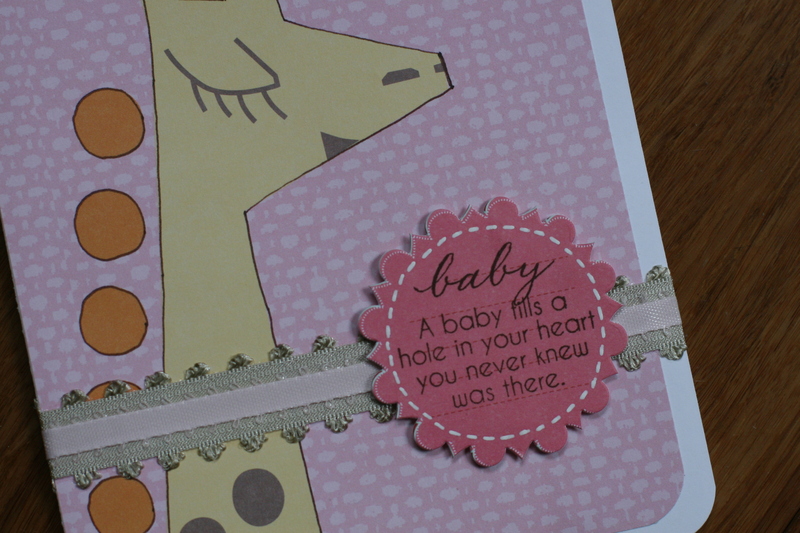 With some ribbon and a journaling block turned into a sentiment, voila, a baby shower card!